One of the ways college students can fund their education is by applying for financial aid from the federal government. 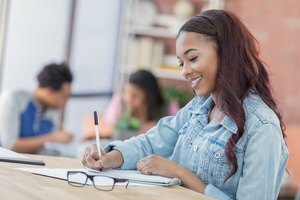 Financial aid can come in the form of scholarships, loans and government grants, and what you get in terms of money will be based on your family's unique financial need. But there are no doubt a lot of different terms to get familiar with. Therefore, before applying for or accepting financial aid, it's important to understand the meaning of government grants as well as their uses when it comes to paying for school. According to Investopedia, a government grant is "a financial award given by the federal, state or local government, to an eligible grantee." In other words, a government grant is a sum of money given to a student by the federal government to help pay for college. A grant is only given to students based on their family's financial need. Therefore, not every person will be eligible to receive a grant, even though college is theoretically very expensive for most people. Likewise, even if you do receive a grant, it may not be as much as others receive. If you're issued a government grant to help pay for classes, then you can use it toward several things associated with the costs of that school. First, grants or other forms of financial aid you may receive will always be allocated to your tuition before anything else. Then, it will go to things like room and board or other fees. If there is extra money remaining after your grant has been allocated to all of these costs, it's usually released to the students, so they can use it for things like food, books or school supplies. At the end of the day, a grant may not provide you with enough money to cover tuition and these additional expenses. But it certainly helps to take down the costs just a bit. Why would a person seek a government grant? Well, the question should actually be, "Why not?" Because the cost of college tuition in the United States is one of the highest in the world, most people aren't able to just pay for it like any other bill or expense. The U.S. is still a country where a degree is very important if you want to pursue a high-paying job or start your journey down a specific career path. Therefore, students who want a bright future in terms of their work flexibility and job options have no other choice to pursue a degree. They usually get themselves into debt by taking out student loans to pay for it. Luckily, the federal government has programs in place to help decrease the cost of tuition without putting you in debt. Students should seek government grants for college because it is one of the only ways to get financial assistance for your school that doesn't need to be paid back. Like a scholarship, you can think of a government grant as free money. How Can You Qualify for a Grant? There are many ways a person can qualify for a grant, but in order to do this, you need to meet the eligibility requirements. Remember that a grant is given on a need-basis. Therefore, if your application doesn't express your financial need compared to others, then the grant may either not be approved, or it will be approved for less money compared to others. You must be enrolled in an eligible degree program, which is typically a two-year or four-year accredited college, university or technical school. Once you satisfy the requirements for FAFSA, you will have to make sure you meet additional requirements for the various government grants available. 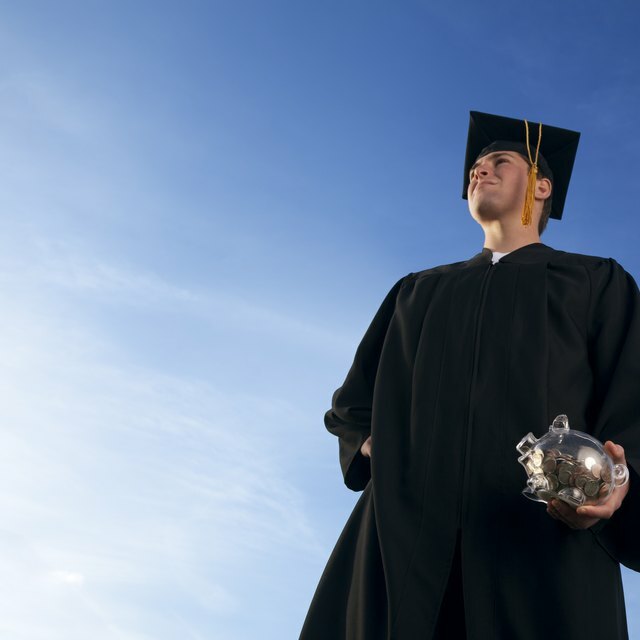 Though there are several types of grants that a student may be awarded, the Pell Grant is the most common government grant that eligible applicants at the undergraduate level can receive. That being said, there are several different kinds of grants that exist, and the eligibility requirements for each one may be slightly different. When you apply, you are not applying for a specific one. You are applying for all types of financial aid, and the government will determine which category you fit in best. When you apply for financial aid through the federal government, you do not need to have a cosigner or have good credit like you would need with a private student loan. 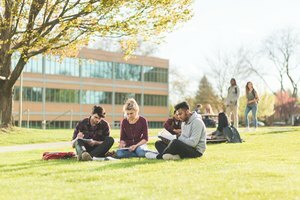 What Are the Types of Grants for College? 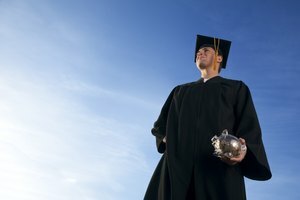 Federal Pell Grants: According to Studentaid.ed.gov, Pell Grants are typically awarded to undergraduate students who demonstrate exceptional financial need. There is a chance that students enrolled in a post-baccalaureate program can also get a Pell Grant, but it's rare. 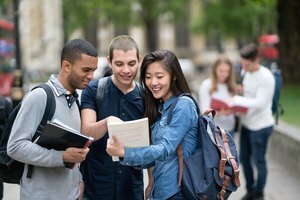 Federal Supplemental Educational Opportunity Grants (FSEOG): The FSEOG Grant is similar to a Pell Grant in that it is awarded to undergraduate students with exceptional financial need. However, it is different because it only can be awarded to students that are applying to schools that participate in this grant program. This grant is given out directly by a school's financial aid office. Teacher Education Assistance for Higher Education Grants (TEACH): TEACH is a grant that is given to, of course, prospective teachers. It is given to undergraduate, post-baccalaureate and graduate students who qualify by taking the required courses and pursuing a teaching job after graduation. Iraq and Afghanistan Service Grants: If you're eligible for this grant, sadly it would be because you lost a parent as a result of their military service in Iraq or Afghanistan. Every year, the Department of Education sets a maximum amount of Pell Grant money that can be awarded to each student. For the 2018 to 2019 year, the maximum announced was $6,095. It's important to keep in mind that because this is the maximum amount, there is a good chance you may get less than this. Remember that government grants are given based on your financial need. They are also given on a first-come, first-serve basis, which means that if you waited until the deadline to apply, you may receive less than the maximum. For an FSEOG Grant, students can be awarded anywhere between $100 and $4,000 if your school gives out this kind of grant. If they do, the amount you get depends on how much aid the financial aid office has available to give. For a TEACH Grant, the maximum amount awarded is $4,000. There's also a chance that you would have to pay this back if you didn't maintain or complete the courses required or go into the specific kind of job required to receive this grant in the first place. For the Iraq and Afghanistan Service Grants, the potential amount you can be awarded is equal to whatever the amount is for the Pell Grant of that year. When Will I Find Out if I Got a Grant? To find out whether or not you've received a government grant or any other kind of federal financial assistance after filling out your FAFSA, keep an eye out for your SAR, or Student Aid Report, which should arrive anywhere from three days to three weeks after you've submitted your FAFSA. Your SAR is only a summary of the FAFSA information you've submitted. If that looks clear, and there are no corrections to be made, then you will have to wait to get your award letter directly from the financial aid office of your school. When you will get your award letter depends on a lot of factors, like when you applied, if you applied well before the deadlines, and the school's policy itself. If you're feeling eager, call your financial aid office and ask them when you can expect to find out whether or not you've received money in the form of government grants and how much. Do You Have to Pay Back Government Grants? The nice thing about being awarded government grants as part of your financial aid package is that unlike other forms of financial aid, government grants don't need to be paid back. While there are some circumstances in which a grant would need to be paid back, it's not very common. Whether or not a grant needs to be paid back depends on the conditions of the grant itself and eligibility requirements. Typically, a grant would only need to be paid back in a few extenuating circumstances. For instance, if you had a drug-related criminal offense while earning the grant, if you dropped out of school or got dismissed due to not meeting satisfactory academic performance, or you changed your status from a full-time student to a part-time student. In these cases, you'd have to perhaps pay back some of the grant. Also, if you happen to get enough award money from other scholarships, then you may need to pay back your grant. As long as you maintain your enrollment status, and you work hard in school without breaking the law, you shouldn't have anything to worry about. Government grants are a great way for you to reduce your college tuition costs, without having to be concerned about paying them off later, like you would have to do with a loan. While there are many great aspects of being awarded grant money, there are also some things to consider. Unfortunately, though a grant can help lower costs a bit, it will hardly be enough money to cover the entire cost of tuition. This is why students need to rely on extra financial assistance from federal loans and hopefully scholarships. Even then, though, it may not be enough to pay for school, and students will have to take out private student loans in addition to everything else. Before taking out money for college, young students should talk with adults in their family and learn about what these loans will mean for their future. FAFSA.ed.gov: When Will I Need to Fill Out the FAFSA? LaRock, Hana. "Government Grants: Definition and Uses." Synonym, https://classroom.synonym.com/government-grants-definition-and-uses-13714927.html. 26 September 2018.